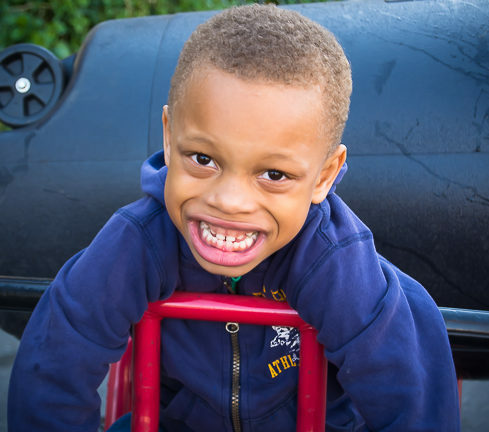 Do you know of a family with a child with Autism or other developmental disabilities? 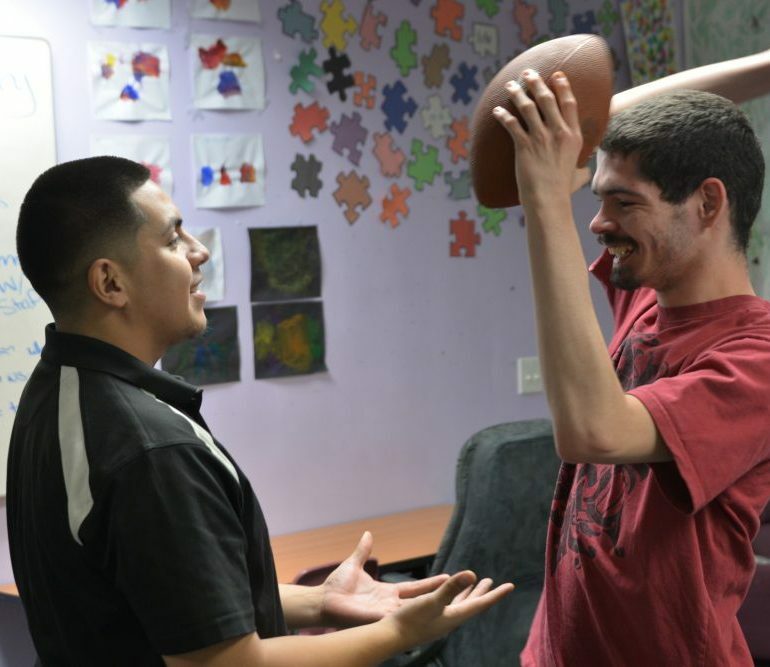 Valley Achievement Center, located in Bakersfield, offers a variety of educational, adaptive and social skills programs for children with autism and/or other developmental disabilities, from ages 3 through 22. If you know of any child who could benefit from one of our programs, we would love to speak with you to answer any questions you may have or to schedule a tour of our facilities. Do you have a preschool child who does not have a disability? Our S.A.I.L inclusion preschool program may be the perfect option for your family! Please find more information on this special program below, or call us today for more information! The Basic Education Day Program offers individualized education through one-on-one instruction for students diagnosed with autism spectrum disorders, emotional disturbance, and/or intellectual disabilities – mild/moderate and moderate/severe. Valley Achievement Center (VAC) collaborates with the student’s local Bakersfield school district or Local Education Agency to determine the least restrictive environment and devel0p the student’s Individualized Education Program goals and objectives based on state standards, core curriculum, current assessments, and ongoing progress monitoring of skills. VAC utilizes Applied Behavior Analysis techniques and other evidence-based methods to help students attain academic goals and improve functional skills. VAC also offers behavior assessment and intervention, as well as psychological services. Students are assessed to create an Individualized Program Plan with specific goals and objectives developed through collaboration with Kern Regional center and the child’s parents or guardians. The Preschool Program utilizes a structured environment and Applied Behavior Analysis techniques and other evidence-based strategies to achieve the child’s goals. S.A.I.L., which stands for “Striving for Acceptance Through Inclusion Learning,” is an academic inclusion preschool program offered in the morning that provides children diagnosed with autism spectrum disorders or other developmental disabilities and children who do not have a disability the opportunity to learn together in a structured environment utilizing a nationally recognized, research-based curriculum. All students are assessed to create an Individualized Program Plan to identify each student’s individual academic and other needs and to establish individualized goals and objectives based on those needs. Goals and objectives are implemented through three-to-one and/or ten-to-one instruction utilizing Applied Behavior Analysis techniques and other evidence-based strategies. By including all students, regardless of disability, the S.A.I.L. inclusion preschool encourages peer modeling, deeper understanding, and acceptance among all. The Intermediate Afterschool Program helps children diagnosed with autism spectrum disorders or other developmental disabilities to improve adaptive, communication and social skills, as well as to decrease maladaptive behaviors. Each student is assessed and given an Individualized Program Plan with goals and objectives developed through collaboration with Kern Regional Center and the child’s parents or guardians. Goals and objectives are implemented through one-to-one instruction in a structured environment utilizing Applied Behavior Analysis techniques and other research-based methods. The Afterschool Day Program is the same as the Intermediate Afterschool Program, except it applies to individuals ranging from age 10 through 22. The Social Skills Program helps children diagnosed with autism spectrum disorders or other developmental disabilities to improve communication and social skills and to decrease challenging behaviors to allow the student to succeed in his or her regular environment. Students are assessed to create an Individualized Program Plan with specific goals and objectives developed through collaboration with Kern Regional Center and the child’s parents or guardians. Goals and objectives are implemented through three-to-one and/or six-to-one instruction in a structured environment utilizing Applied Behavior Analysis techniques and other evidence-based strategies. Do you know of a child with Autism who would be a good fit for one of our programs? Do you have questions about our programs or enrollment? Are you ready to schedule a tour? Please call us at 661-431-1466 for more information, or to schedule a tour! Thank you Studio Movie Grill for your generous support of VAC!We appreciate Studio Movie Grill for making VAC a Chefs for Children beneficiary, and for holding special needs movie screenings that are free for children with special needs and their siblings.Be sure to check out the monthly special needs screenings at Studio Movie Grill and support the Chefs for Children program by purchasing specially designated food items while enjoying the movie! Support us when you shop online with Amazon Smile! 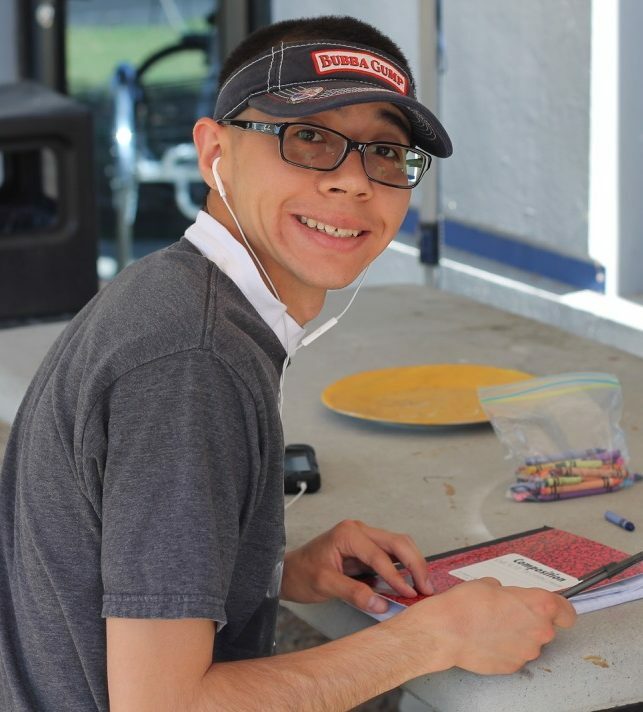 VAC offers 6 programs for adults with autism and developmental disabilities, including our Behavioral Management Day Program, and other programs to help adults learn skills to become more independent.